Two years ago, Russian legislators celebrated with champagne on the floor of parliament, after Donald Trump emerged victorious in the US presidential elections. Now, they're likely feeling the hangover, as early hopes for a better relationship between Moscow and Washington grow dim. "Reckless" and "insane" were the Kremlin's words of choice for a current push among US lawmakers to pass new Russia sanctions. In a strongly worded rebuke, Kremlin spokesman Dmitry Peskov on Thursday described the threat of new sanctions as "racketeering" and warned of "harmful consequences" if they are ever passed. "We consider this unacceptable and believe that such actions could go against the universally recognized rules of international trade," Peskov said. The outburst came after a bipartisan group of US senators introduced a bill to impose stringent sanctions on Russia over its meddling in US elections and aggression against Ukraine. The sanctions would target Russian banks, the cyber sector, sovereign debt, and individuals. The bill would also impose strict measures on Russia's lucrative oil and gas sector -- where global energy companies are heavily invested. If the bill is passed and signed by Trump, analysts say it could seriously effect Russia's economy. Some lawmakers have cast the bill as the latest Congressional attempt to push the White House to harden its policy against Moscow. "President Trump's willful paralysis in the face of Kremlin aggression has reached a boiling point in Congress," Senator Bob Menendez, a Democratic lawmaker who is backing the bill, said in a statement. Trump, who has repeatedly expressed admiration for its authoritarian leader Vladimir Putin, has been criticized by lawmakers on both sides of the aisle for his reluctance to impose sanctions. In January, Trump's administration lifted sanctions on three Russian companies linked to oligarch Oleg Deripaska. The US State Department has also delayed imposing further sanctions after Russia failed to prove that it was not using chemical weapons, after the 2018 Skripal poisonings. For the past few years, Russia has been battered by waves of international sanctions designed to punish the country for malign activity ranging from election meddling to poisoning opponents to fomenting conflict in Ukraine and Syria. Critics say the sanctions have had little discernible impact on Kremlin behavior, but few doubt the extent to which the gradual ratcheting up of sanctions pressure has dampened economic growth and investment in Russia. 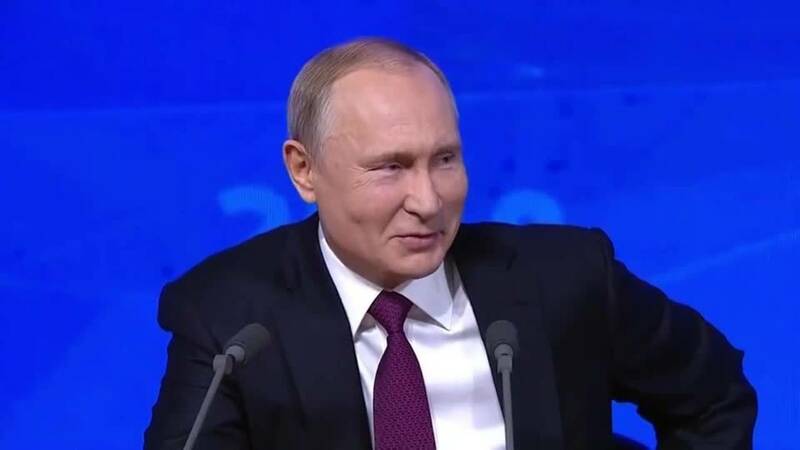 Russian officials play down that economic impact, stressing that Russia has already adjusted to sanctions, is on target to achieve 2% growth, and has been upgraded by all three ratings agencies. They warn that further measures will damage Washington, forcing countries like Russia and China to shift away from holding US dollars -- a process Russian officials say has already begun. But the real problem lies in Russia's actions on the international stage. Allegations of election meddling around the world, the Skripal poisonings in England -- both strongly denied by Moscow -- along with its campaigns in Ukraine and Syria, fuel anger in the US and calls for Russia to face greater consequences. For the past few weeks, Russia dodged the headlines, receding from the international spotlight and taking the imminent threat of new sanctions with it as other crises -- a US government shutdown, Venezuela's political crisis and Brexit -- took center stage. But Russia, it seems, is now in focus once again and the threat of sanctions is back with a vengeance too.